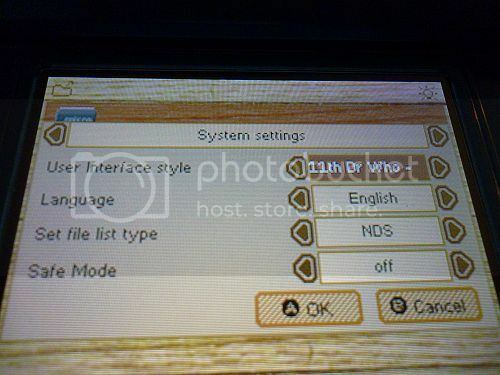 Many r4i gold 3ds users have questions about how to change themes for their cards when they don’t like the default theme. Well, it’s very simply after you following our guide below steps by steps. 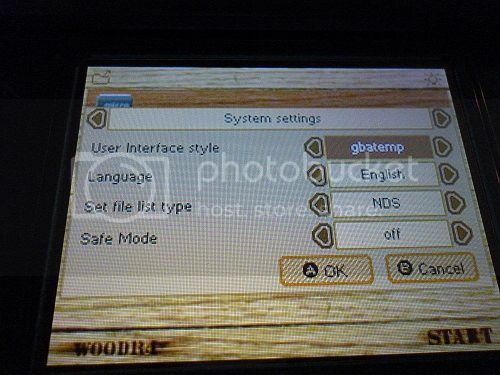 Step1: As always you need to put the latest wood firmware in the sd card, so just download it from here. extract it and put all the files in the root of your sd card. 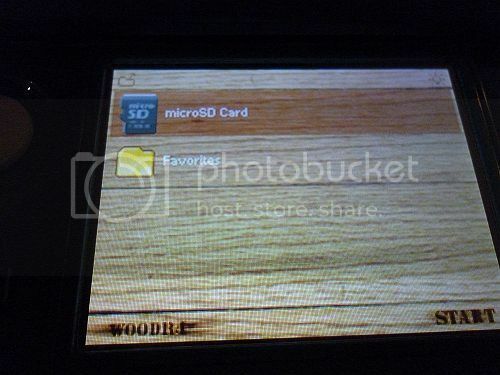 Step3: After you put the wood firmware in the sd card, your sd card will look like this. 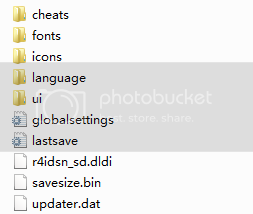 Step5: Take a look at the pic above, there is a folder called “ui”, just click it, you wil see all the skins there. there are 3 default skins in the wood firmware. Step7 look at the pic above, as you can see, i have put a new skin folder in the ui folder, the skin called “11th Dr Who- The Silence”. 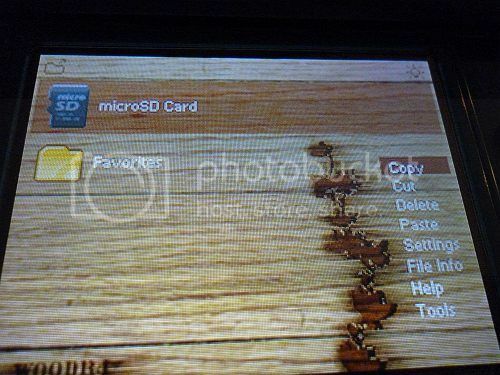 Step8: Put the r4i gold with sd card into your DS/DSi/3DS console. turn on. 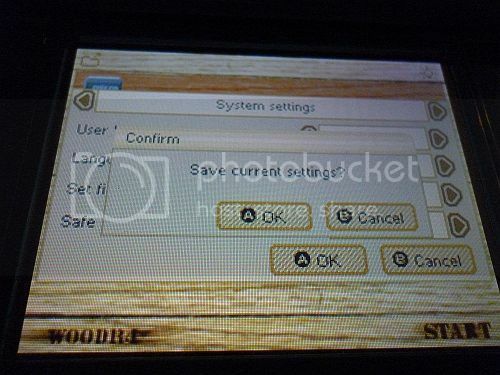 Step11: Look at the pic above, you will see system settings, if it is not system settings, just use the L/R button to change it to the system setting. and you will find the first option is “user interface style” just change the skin there as you want. As always, if you have any questions about this guide, just use the contact form to email us, and if you want to buy r4i gold 3ds, pls go to our site –Digimartz.com (it’s official reseller in UK & US.) That all. 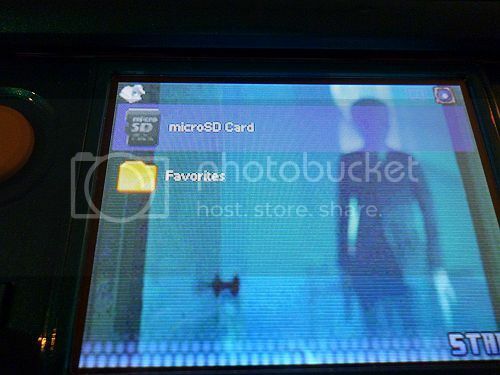 It’s over a month past since the news come for the real 3ds flashcard – gateway 3ds can play backup 3ds roms . Today the news has updated finally. GATEWAY 3DS UPDATE , Officially opening of pre-orders ! Gateway is please to announce start of manufacturing and the opening of pre-orders. We expect to roll out the first units to resellers within the next fortnight. Please pay special attention to the following critical information regarding our current software development phase. 3) Your console can be safely updated to 4.5 by using an original title released after March 2013 till current. Please double check the update message (version) before proceeding ! We currently have a very convenient and user friendly way to enter into our Gateway mode, while this entry point has been tested up to 6.0 we expect it to be shut off shortly after we release. We can not stress enough the importance of staying away from any further updates! ( 6.0 compatibility is only valid for our initial entry point, as stated in point (1) we currently only support firmware version 4.5 ). the biggest problem , most of the 3ds / 3ds xl system may be force to update to 6.x as Nintendo want take action for the 3ds flashcart hacking. 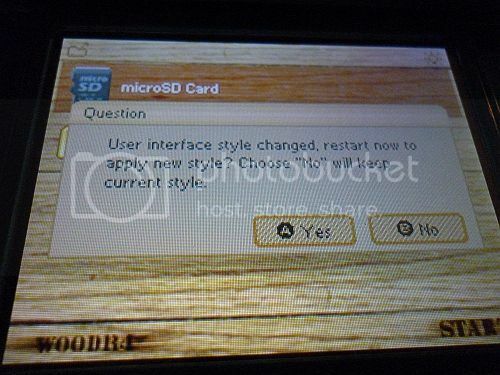 What’s worse , the gateway 3ds flashcard maybe with region blocked which many players would not like it. What earth will the gateway 3ds flashcard be? Maybe , we need to review after next week.